The taskbar has been an integral component of Windows ever since Windows 95. And while it has certainly improved in leaps and bounds between then and now, it’s still imperfect and riddled with issues that you may run into 6 Steps to Fix Your Windows 10 Taskbar Issues 6 Steps to Fix Your Windows 10 Taskbar Issues Is your Windows 10 Taskbar not working? Here are fixes for the most common Taskbar issues, like freezing or auto-hide not working. Read More . That being said, we can’t deny that the taskbar in Windows 10 is the best iteration yet. 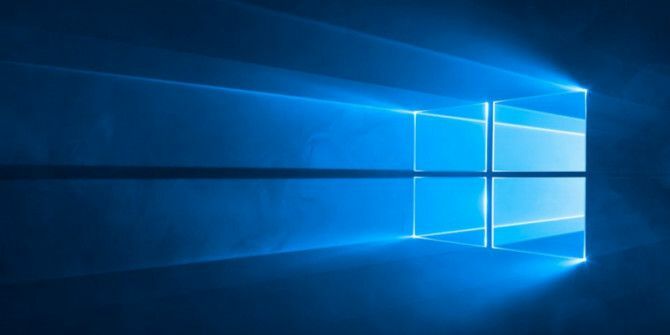 Not only can you customize it in several ways 7 Tips for Customizing the Windows 10 Taskbar 7 Tips for Customizing the Windows 10 Taskbar The taskbar remains a staple feature in Windows 10. It's been given a fresh look and new features, including Cortana. We show you all the tweaks to make the taskbar your own. Read More , but you can also tweak it for improved productivity 6 Advanced Taskbar Tweaks for Windows 10 6 Advanced Taskbar Tweaks for Windows 10 Windows 10 has brought many changes and the taskbar wasn't spared. Still, many small tweaks can enhance your experience. We'll show you how you can customize it to perfection. Read More . But if you really want to be a taskbar pro in Windows 10, there are five shortcuts that you’ll need to know by heart. Over the long run, these may save you a lot of time and inconvenience. Shift + Click on a taskbar app to open another instance of that app. This may not work with some apps that force one single window, but for the most part, this can be used to launch a second or third copy of Chrome or Skype, for example. Shift + Ctrl + Click on a taskbar app to open an instance of that app as Administrator. Some apps can only perform certains actions as Administrator — Sublime Text comes to mind as one example — and this is an easy way to do that. Shift + Right-Click on a taskbar app to show the window menu for that app instead of the normal taskbar menu. Shift + Right-Click on a grouped taskbar app to show the window menu for that app group rather than the normal app group menu. Ctrl + Click on a grouped taskbar app to cycle through all open window instances in that app group. You can boost your productivity even further by making use of the Task View and Virtual Desktop features 5 Key Shortcuts to Use Task View & Virtual Desktops Like a Pro 5 Key Shortcuts to Use Task View & Virtual Desktops Like a Pro Virtual desktops are an easy and effective way to boost your workstation productivity. If you aren't using them, you absolutely should. Read More . Also, consider customizing the Start Menu A Guide to the Windows 10 Start Menu A Guide to the Windows 10 Start Menu Windows 10 fixes the Start Menu dilemma! Getting to grips with the new Start Menu will supercharge your Windows 10 experience. With this handy guide, you'll be an expert in no time. Read More in a way that best suits you. How many of these taskbar shortcuts did you already know and use? Do you think they’re worth learning or not? Let us know in the comments below! I recommend using wintousb to create Windows to go drive. Very useful shortcuts and additional helps! Nicely done! Thanks! I'm glad you found it useful, CT. Thank you!